With cold weather on the horizon, or already in the air, depending on where you live, I thought I’d run through some winter essentials on the Old Money Style side of things. We’ve spotlighted a few of these items before, but it never hurts to introduce newer readers to reliable brands and some of the best they have to offer. 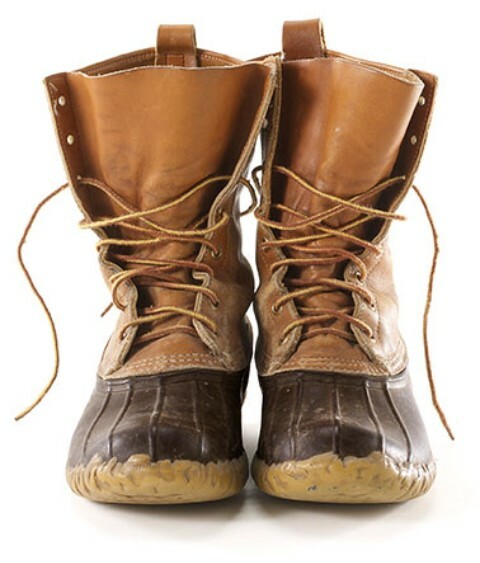 LL Bean Boots…with a six-month waiting period (order to delivery) on many models, you may be out of luck if you want a pair of these winter wonders before spring break. Still, keep them in mind, boys and girls. 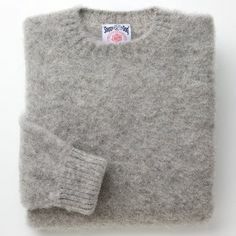 J Press Shaggy Dog Sweater…one of the few Old Money recommendations with an eye-watering price. I say, save up and pull the trigger. These sweaters still like warriors and warm like hugs from your sweetheart. The men like these sweaters to fit over a button down. The women like ’em big…and often steal them from their husbands. Fair warning, gents: she will look good in your sweater. 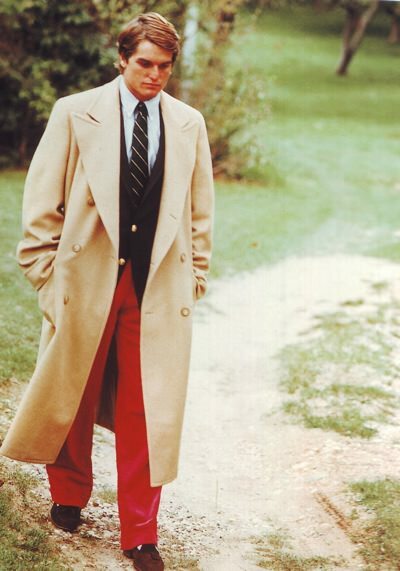 The Polo Coat…while Ralph Lauren does make a model of this coat, the ‘polo’ descriptor does not refer to his brand, but rather the polo players of the 1920s who threw these on before and after a match. These mammoth, dashing affairs are camelhair, double-breasted, and tan. Do not stray from these set-in-stone parameters. 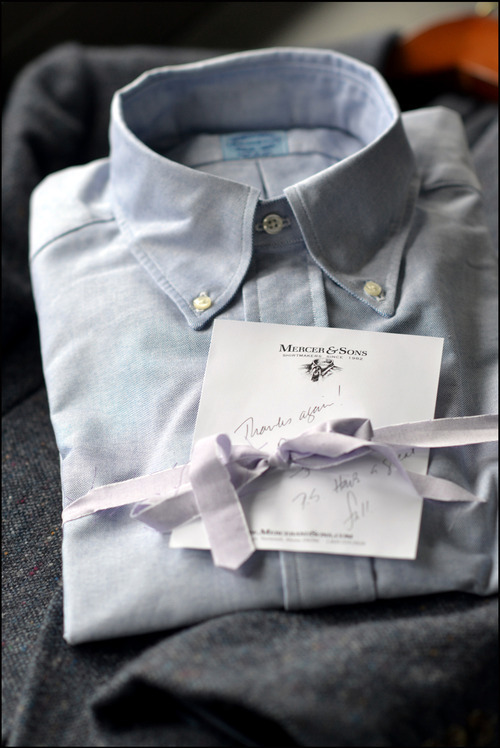 The Mercer oxford cloth button down. Sturdy and warm over a T-shirt or under the above-referenced Shaggy Dog, the Mercer OCBD is a 100% cotton barricade against the chill…and trendy fashion. Wear it well, gentlemen. Thank you for sharing such a great list! Gives me ideas for my husband’s Christmas gift list. Love the Polo Coat!! I have one, but this Christmas it’s my wife’s turn. I will be buying a shaggy dog sweater. Time to pull the trigger and never look back. Byron, may I ask your thoughts about rubber-soled dress shoes that can handle some rainy weather? AE has interesting options with Dainite soles, but I find them overpriced in here Europe. The great thing about AE though is that the lasts are quite versatile, so even oxfords can easily be dressed down with cords or khakis. Thank you, Byron. Great suggestions. No bargain indeed, but one expects that to translate into durability. Church’s are sturdy material, and I assume C&J no less. If you have experience with Dainite soles on dress shoes, I’d welcome your opinion. Joseph Cheaney, Tricker’s and Loake all offer various styles with Dainite, Commando, Victory or even Vibram soles. Thank you, Rob. I will have a look at these as well. Herring Shoes offers a good overview. Up here in Maine nothing beats a good pair of waterproof insulated hikers for winter weather. You can get them in many colors and styles. Many good brands out there. Merrell, Anhu, Danner, LLBean, Cabelas. Yes, Cabelas, their store brands are pretty good. Anything higher than 24 inches we break out the snowshoes.